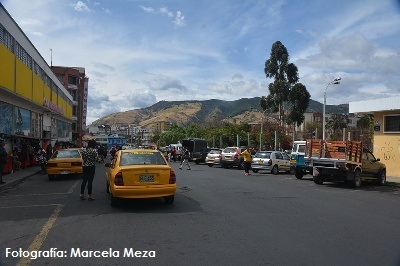 The city of Pasto, Colombia, currently suffers from a fragmented and disjointed urban transportation system. Infrastructure for pedestrians and bikes is lacking, and the absence of public space makes it difficult for people to access both housing and industry. As in many cities, the low number of trees and the high number of motor vehicles make the city congested and polluted. To combat these problems, Pasto has developed an ambitious and holistic plan. 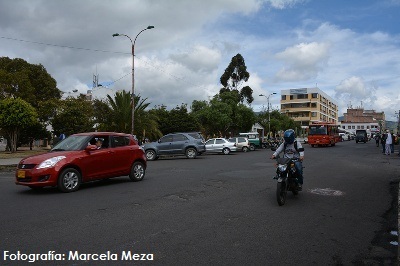 The city will reorder itself into “street superblocks”: 500m by 500m areas composed of several currently existing blocks. The street superblocks will function as cells within the body of the city. They will be connected to each other by arterial roads (wider and more direct roads). These arterial roads will be used by citizens when performing longer trips. To facilitate such journey, public transport will be provided on the arterial roads. Bicycle infrastructure will also be incorporated where possible. Inside the cell, streets will be divided into “main streets” and “secondary streets”. Main streets will allow motorized vehicles and will include traffic-calming measures. Secondary streets will be closed to vehicles, allowing only pedestrians and non-motorized vehicles. The secondary streets will contain a greater number of trees, and green spaces within them will be enlarged. In total, Pasto aims to plant over 4,000 new trees in the city. Superblocks, by consolidating the public transport onto the arterial road network, will help to liberate 75% of the local road network. This can be transformed into public space for citizens, and will also encourage alternate modes of transportation. The pilot project is located in the center of the city. It consists of nine superblocks, which will be the catalyst for a variety of urban transformations. The superblock project is just one part of Pasto’s holistic vision for a more sustainable city, outlined in the 2015-2027 Pasto Territorio Con-sentido land use plan, which will ensure policy continuity and the development of the city. Pasto is seeking to include all institutions responsible for the construction and management of the city, and is in the process of formulating a comprehensive Mobility Plan, facilitating short trips by strengthening the infrastructure for pedestrians and bicycles. Overall, this project aims not just to improve mobility but to make the entire city more livable, by improving access to public space and housing and by recreating the concept of neighborhood life. Pasto wants to ensure that all residents have a public space for recreation close to their houses and can breathe cleaner air thanks to a significant decrease in motorized vehicles in the city. Pasto’s superblock plan is based on a model of compact cities, in which residents can access the services they require by walking or biking short distances. For longer trips, a strong public transport network is in place, making it unnecessary for people to use private vehicles. This is the kind of future that will be made visible at the EcoMobility World Festival 2015 in Johannesburg, South Africa, where the Sandton Central Business District will be closed to private cars for the entire month of October. Pasto is aiming to become an ecomobile city by taking a comprehensive, long-term, holistic approach to transportation, based on a clear vision for the evolution of the city as a whole.